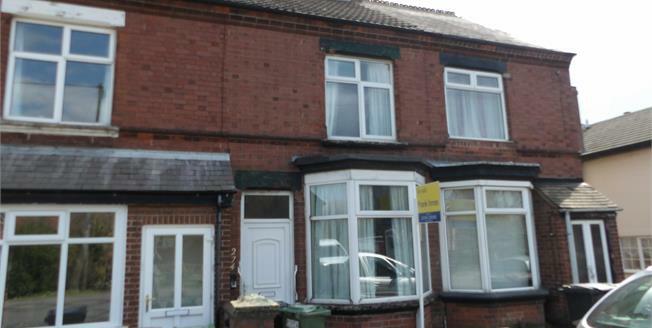 A thee bedroom terrace house situated on Charnwood Road in Shepshed. The property has a recently fitted Worcester boiler, double glazing and would benefit from some cosmetic improvement. Accommodation comprises dining room, lounge, kitchen, down stairs bathroom, 1st floor landing and three bedrooms. To the rear is a pleasant garden with patio leading to a mature lawned garden. The property is available with no upward chain and viewing is recommended.